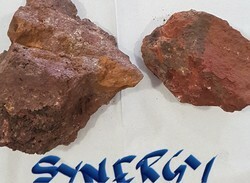 Synergy Petrochem & Minerals Pvt. Ltd.
Due to our unequaled and effectual method of delivery, we have ascended as talented supplier in the marketplaces of Navi Mumbai(India) We are appreciated amidst the celebrated names in the sphere of providing exclusive range that includes Zinc. We have Zinc Ore with more than 40% purity for exports. Please contact me if you are interested in the above product for more information. ITO Global Trading Company. is an active and well-known trading company supplying as ZINC ORE WITH HIGH ZINC PURITY . We can supply you with good price and high quality products from our companies. Indian origin zinc with purity 40% and above. Our company main export products are metallurgical grade Zinc ore and high grade lumpy Zinc ore.We can supply the best quality Zinc Ore to you.and we take responsibility to any quality uncertainty. We are exporter of Zinc Ore. Zinc is a metallic chemical element with the symbol Zn and atomic number 30. In some historical and sculptural contexts, it is (or was) known as spelter.